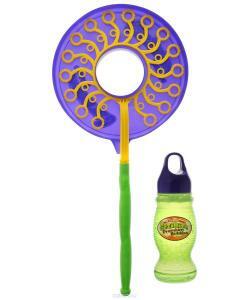 Includes 2 giant bubble wands; 1 multi bubble 33 in 1 wand, 1 giant bubble wand. 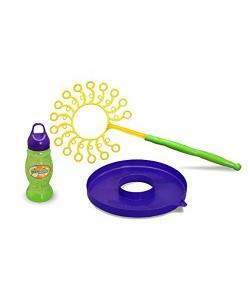 Blow bubbles on the go! Pack includes 2 x Wands, 2 x Handles, 2 x Dip Trays and 2 x 16 oz. Bottles of Solution! 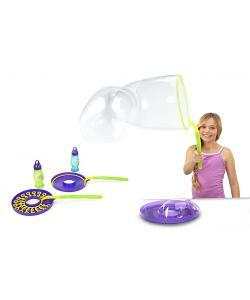 With this special two pack you can create hundreds of bubbles with the Gazillion Incredible 33-in-1 wand or make bubbles as big as you with the special big bubble wand! 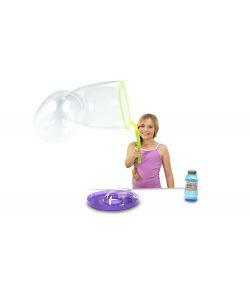 simply pour the Gazillion solution into the tray, dip the wand into the solution and wave!